Are you ready for a day at the races? 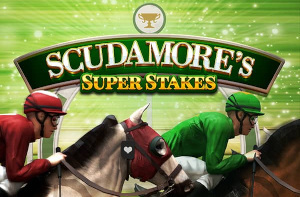 Then get your glad rags on because Scudamore’s Super Stakes, from NetEnt, will take you there! 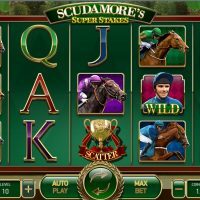 For fans of Bookie of Odds, Scudamore’s Super Stakes is the game for you. 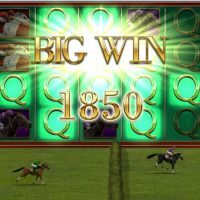 The horse racing theme is very popular with players and this 5 reel, 20 payline slot game from NetEnt won’t leave you empty-handed furlong (get it?!). 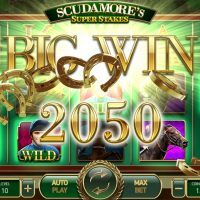 This game comes with Wilds, a Bet Slip feature, and the big one – the Peter’s Classic Cup feature where you pick a horse to win the race and if your horse comes in, you could win up to 5000x your stake! Bet anywhere from 0.10 to 100.00 coins per spin. 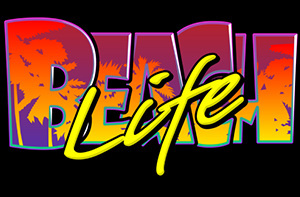 The autoplay function gives you up to 1000 automatic spins. Lower level symbols take the form of card symbols: 9, 10, J, Q, K, and A. The higher level symbols are jockeys on horses wearing red, green, blue, and purple. The Wild is a jockey in blue, the Scatter is Peter’s Classic Cup, and the Bet Slip peeps out of the side of the reels, ready to come into play. 5 red jockeys on a payline will multiply your stake by 250. Wilds substitute for all symbols except for Scatters in the main game. 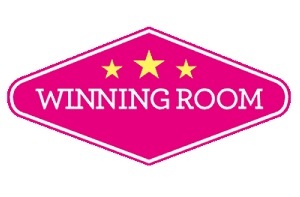 5 of those wins you 1000x your bet. On any given spin, between 2 and 5 horse shoe symbols will fall onto the reels at random turning the symbols into Wilds. For the Scatters, if you get 3 on the 1st, 3rd, and 5th reels, Peter’s Classic Up is enabled. During the Peter’s Classic Cup you must back a “winning horse”. For the horse to run, you need a win on the extended reels (increasing the game to 32 paylines) using the reels associated with your jockey colours. One win means your horse takes one stride forward. The first to make four strides wins. A win gives you 5000x your stake. The Bet Slip keeps a score of how many times your horse appears during a certain number of spins. It then pays you the multiplier it has set times your stake. For all this, you get a house edge of 3.01% which is heavy in racecourse terms and high in our terms. Bet sensibly to avoid running your bankroll too low too quickly. There’s a level of excitement to horse racing, whether you’ve backed a horse to win or you like the thrill of the race. Scudamore’s Super Stakes isn’t a carbon copy of that but it does a darn good job of getting you there. It’s chock-a-block full of features and ways of winning, from the Peter’s Classic Cup to the Bet Slip and all those free spins on offer. 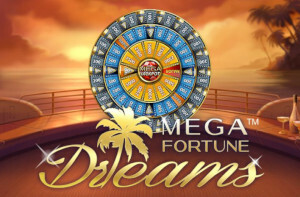 Visually, this is no different to Bookie of Odds or any standard 5×3 reel slot game. But what it lacks in amazing graphics it makes up for in gameplay and the adrenaline rush you get from a potential win. As there isn’t a progressive jackpot here, you’re stuck with a measly £500,000 as your maximum win. What a drag, eh? Don’t worry, I’m only horsing around! To win that, you’ll need to back Divine Fortune to win Peter’s Classic Cup with your max bet. Stranger things have happened.